In a frying pan, heat the oil. Throw in diced peppers and sliced carrots. Roast for 5 minutes. Now add oregano and chorizo, cut into smaller pieces. Give it a stir and roast until the vegetables are soft but still have some crunch to them. Season with salt & pepper to your liking. Meanwhile: Make couscous by following the packet instructions. This will only take about 6 minutes. Once ready, taste and season with black pepper and salt. Stir in the butter. When the veggies are ready, mix with couscous and serve! 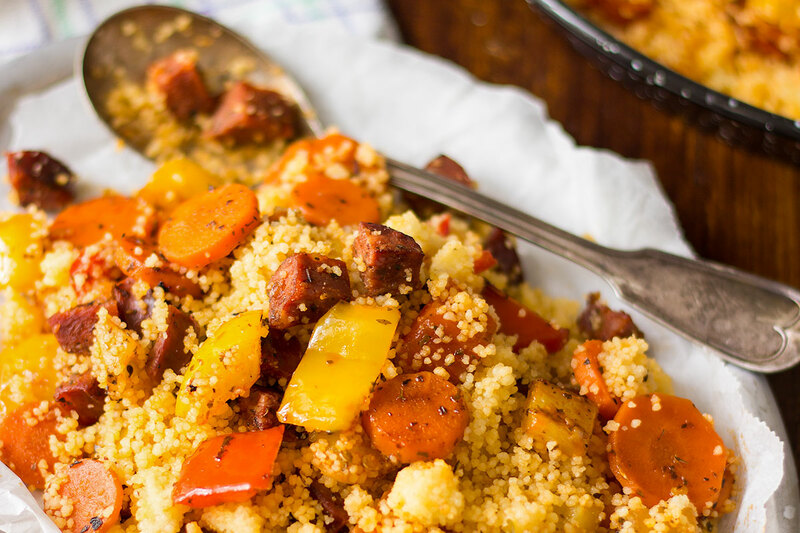 The post Roasted Vegetable Couscous with Chorizo appeared first on HappyFoods Tube. 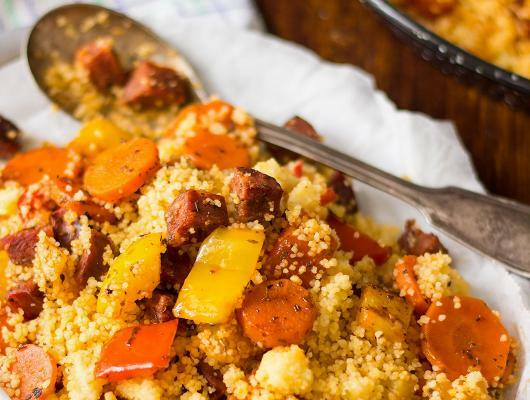 Roasted vegetable couscous with chorizo. If you are looking for fast weekday meals ready under 30 minutes, then this is it. Plus it’s easy and tasty!